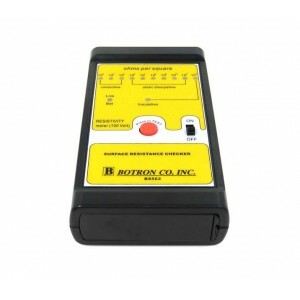 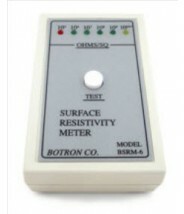 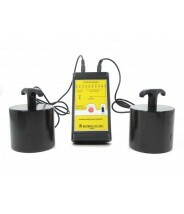 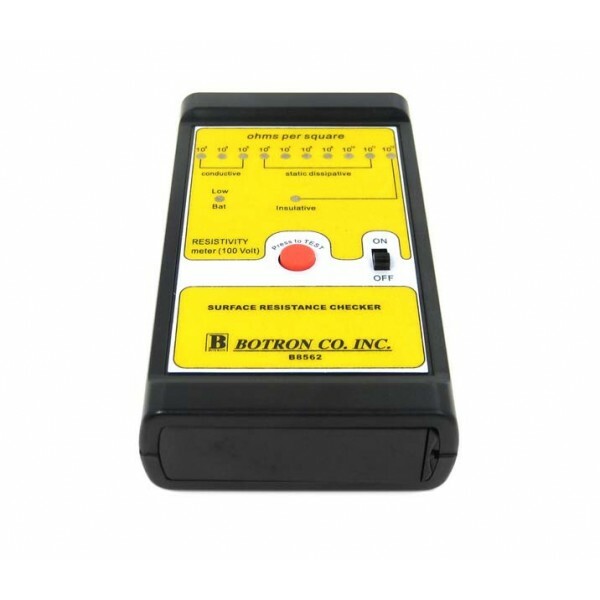 Botron’s B8562 100v Surface Resistivity Meter is used for measuring, but not limited to, work surfaces and flooring. 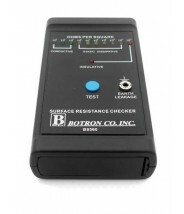 Easy to read LEDs illuminate according to test results. 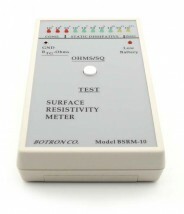 The B8562 is light, portable and ideal for on-the-spot testing of RTT and RTG (when using external probes).